There’s a new sensation that’s sweeping the nation: police body cameras. Dozens of cities across the U.S. have decided to attach small cameras onto the front of their policemen’s uniforms in an effort to combat the growing “police problem,” and one of those places is sweet, sweet Isla Vista. 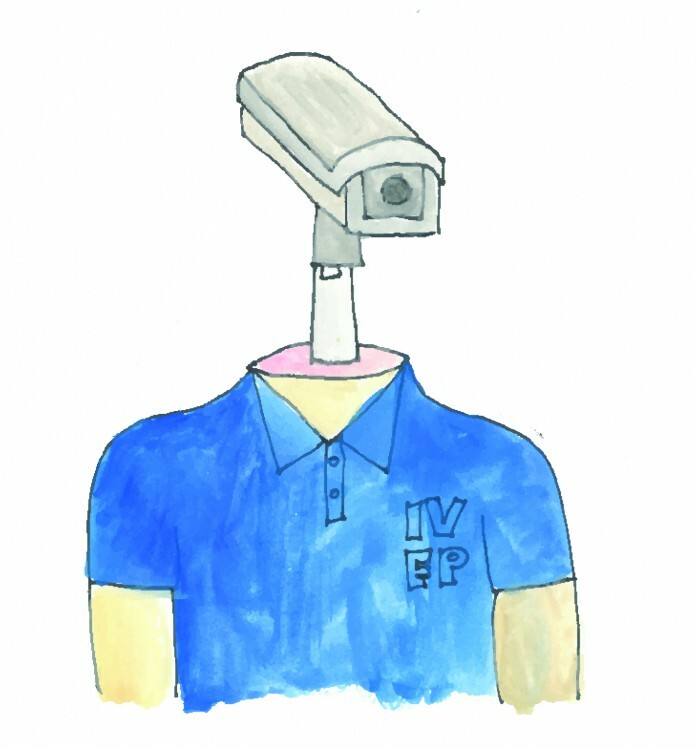 Soon, Isla Vista Foot Patrol will be mounting cameras on their officers in an attempt to catch misconduct and make IV a safer community. However, this isn’t going to fix our community’s or the nation’s problems, and I daresay it will just make them worse. I agree that there are some benefits to these body cameras: I agree that protecting police officers from false misconduct accusations or others of that nature would be a great thing. With the amount of poor discretion that has been used in the past year, it would be effective in verifying which accusations of misconduct are accurate and which are a little hyperbolic. I also agree that it would show all of the good that police officers do which would help combat the negative publicity they have been getting; too often we forget that the majority of police officers in our nation are here to help and to create safer, better environments. If we had positive video footage to contrast the negative video footage, it would give police officers a fairer fight. Yet, even with these positives, I cannot agree that body cameras would be beneficial to our broken system. To start, there’s a privacy issue: why would it be okay for the police to videotape people without their direct consent; are we all going to have to sign a waiver to relinquish those rights? There would have to be limitations as to when police could and could not record freely, but what happens when a crime occurs in front of the officer but the camera is off? What if the camera breaks or has technical difficulties while the officer is on duty? Then there would be no video footage to refer to, as there isn’t now, and it would seem like a waste of money and resources. Speaking of which, these devices are expensive and we have all learned how easily high-tech things break. Unless these devices are Nokia, I can’t be convinced that they wouldn’t need to be replaced annually (at least). Even if they were the best cameras in the entire world (which I’m pretty sure they won’t be), I don’t think they’re worth the price because they create too much grey area and technological challenges that would make the situation only more complicated. Cameras are a little too “objective”: they don’t see what the officer is seeing, the camera would merely take in everything in that field of vision while an officer could be focused on something off-screen, or only one small part of the bigger picture. They are both too fast and too slow: too fast because they will record everything that happened while an officer will have a delayed reaction and processing time, and too slow because being able to rewind, replay, pause and zoom-in dissects the scene too much to where it becomes a very sticky game of coulda-woulda-shoulda. It is much easier to retroactively look at a recorded scene and say what should have been done, but in reality it’s a completely different perspective; the camera would give you an objective look at the moment while the brain almost never objectively understands a moment of high stress. Do I think that a need to hold police accountable has developed in the past year? Yes. Do I think that people might act more civilly if they knew they were being recorded? Yes. But, do I also think that people would watch these videos as the word of God and discount the officers’ or witness’ experience, understanding and thought processes? Yes. I undoubtedly agree that there needs to be a change with our nation’s police system, but I unfortunately don’t think that this is the solution. I think that this would create more problems than it would solve, which would only create greater disjuncture between communities and their police officers.